In a remarkable judgment, a bench consisting of Justices S.J.Mukhopadhaya and Prafulla C Pant set aside the impugned judgment delivered by Nagpur Bench of Bombay High Court & allowed the appeal holding that the impugned PIL was a product of personal rivalry in construction business and such petitions in disguise cannot be entertained. It was also held that in absence of the original coloured one, a true copy of the building plan cannot be relied upon to hold any construction illegal in view of the fact that the local authority which sanctioned building plan was supposed to have gone through the original plan. Respondent nos .5 and 6 had preferred the PIL under article 226 before the High Court seeking a direction to Nagpur Municipal Corporation (NMC) and Nagpur Improvement Trust (NIT) to remove the structures standing on the lands owned by respondent no.4- Trust on the ground that the same are contrary to the building regulations and the development plan sanctioned by the State Government under the Maharashtra Regional and Town Planning Act, 1966 (T.P. Act). The High Court through the impugned judgment held that the building permits granted by Nagpur Municipal Corporation to the public trust (resp 4) were unauthorized & illegal & ordered demolishment and fresh applications to be invited. In appeal, the main contention of the appellants was that the writ petition was filed by respondent no.5 after inordinate delay to vent out their personal vendetta. The said writ petition was not in nature of a PIL and was merely filed to satisfy personal rivalry. It was further submitted that the said writ petition was primarily filed by respondent no.5 claiming to be a member of respondent no.4- Trust and by respondent no.6, a member of the locality alleging mismanagement by the said Trust in leasing lands to the appellants. Respondent no.4-Trust had leased the property in favour of the appellants. Interestingly, though Respondent no.5 and Respondent no.6 had filed the writ petition before the High Court alleging mismanagement by the Trust in leasing lands to the appellants, but the Trust now supported respondent nos.5 and 6. The Court speaking through Justice Mukhopadhya dealt with Section 2(15) (c) (ii) (iii), Section 2(19), 20 and 154 of the T.P.Act, along with the final Development Plan, Resolution dated 3rd June, 1976, copy of the notification issued under the letterhead of N.I.T alongwith part Development Plan of Nagpur City. It was observed that similar pleas were taken before the High Court by the respondents. It was deduced by the factual matrix that the writ petition filed by respondent nos.5 and 6 was not bona fide but it was filed only on account of personal disputes between the parties i.e. inter se between the members of the respondent no.4-Trust indirectly affecting the appellants-tenants. No notification was issued by the State Government empowering the N.M.C to exercise the power of Planning Authority. By a letter in 1993, the State Government had asked the N.M.C to follow the draft development Rules framed by the N.I.T there being conflict between two draft Rules one drafted by the N.M.C and another by N.I.T. The State Government in 2002 had rescinded/withdrawn the notification dated 6th October, 1967 and permitted N.M.C to exercise the powers of a Planning Authority in the area under its jurisdiction except the areas in which the N.I.T has improvement schemes as more particularly set out in the said notification. Thus, prior to 1967 N.M.C was the authority to exercise the same power sanctioning the plan and since 2002 the N.M.C was again empowered to sanction the plan. During the period from 1967 till 2002, though N.I.T was the Planning Authority for the city of Nagpur, it abdicated its power, delegated it in favour of N.M.C and did not sanction any building plan. In absence of the original coloured plan, the true copy of the plan submitted cannot be relied upon to hold the construction illegal in view of the fact that N.M.C which sanctioned building plan was supposed to have gone through the original plan. In absence of the sanctioned plan, the High Court was not justified in deciding the disputed question of fact as to whether the building was constructed in accordance with Town Planning Scheme. The High Court ought to have looked into the sanctioned plan to find out whether it was for office or for residential or for commercial purpose for coming to a definite conclusion. 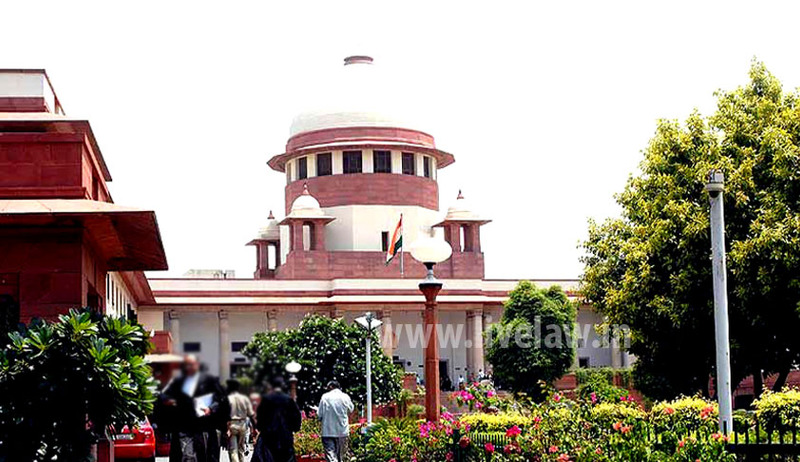 It was concluded that there being a long delay of eight years in filing the writ petition and in absence of challenge to the plan sanctioned by N.M.C, the High Court was not justified in entertaining the ‘so called Public Interest Litigation’ filed by persons who had personal dispute with respondent no.4. However, the court declined to order costs while allowing the appeal.